Are you a company/brand/destination looking to reach new audiences? 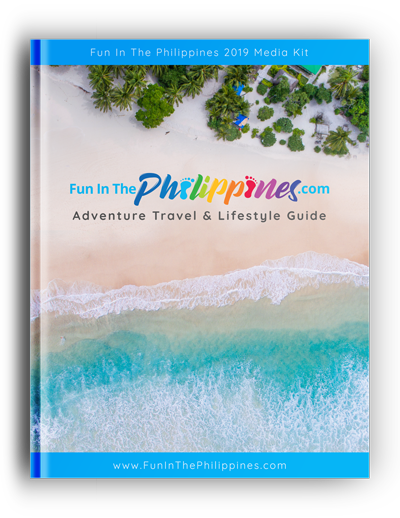 Fun In The Philippines is a popular adventure travel blog that inspires readers to travel using entertaining stories, helpful tips, amazing photography, fun videos, and engaging social media coverage. FunInThePhilippines.com reaches over 1 million people annually. We broadcast our first-person experiences and adventures throughout the Philippines and the world to a loyal following of readers who trust our advice and recommendations, motivating them to travel somewhere new for their next vacation. We have worked with some of the world’s most innovative destinations & brands to help them achieve their goals. They leverage this online authority and expertise to promote their message to a large, engaged audience. According to Alexa, Google Analytics, and internal reader surveys, the Fun In The Philippines’ audience consists of highly educated women (60%) and men (40%) between the ages of 25 and 45 who browse from home. A majority of readers hail from the United States (50%), United Kingdom (10%), and Canada (7%). Articles on Fun In the Philippines rank extremely high in search results. Patrick understands SEO and works hard to place his content on the first pages of Google and the other top search engines. Our site targets people interested in Adventure Travel, Outdoor Gear, Cultural Travel, Budget Travel Tips, Travel Photography, and Road Trips.